Correct wrinkles and facial lines with a natural skin component. Dermal Fillers are injectable fillers used to temporarily correct wrinkles and facial lines. A dermal filler contains hyaluronic acid that is injected into the skin to plump it up. Hyaluronic acid is a natural skin component that acts like a sponge and retains large quantities of water. Once injected, dermal fillers keep the skin plump and soft, making it firmer and “filling out” facial lines. 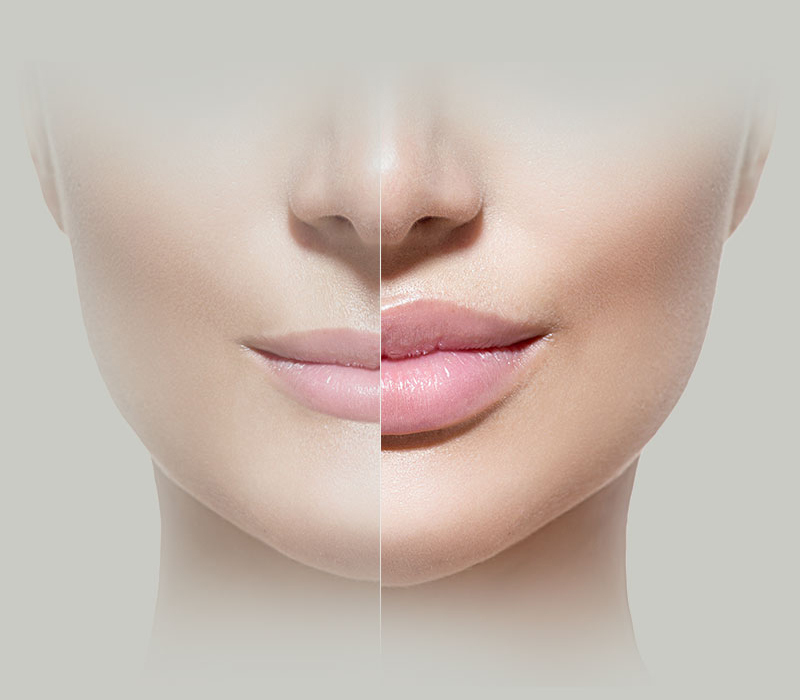 Fillers can be used on nose to mouth grooves (naso labial lines), smoker’s lines, sad or anger lines, thin lips, deep frown lines, tear troughs, correction of under-eye circles, chin volume and cheekbone volume. Fillers are absolutely not addictive. However, once patients begin treatment they often become accustomed to their youthful appearance and tend to maintain their look with repeat treatments. Fillers do not provide permanent results, so if touch-up treatments are not carried out the face will revert to its previous appearance. The actual treatment takes between 15 to 45 minutes depending on which areas are being treated and the number of areas that are being treated. No down time is required after Dermal Fillers. It is advisable not to apply makeup over the injection sites for 24 hours after the procedure; otherwise life can carry on as normal. The Dermal Fillers actually contain an anaesthetic. The Aesthetic Physician might also use a topical anaesthetic cream to numb the area further. He/she will then inject tiny quantities of the Dermal Filler, using a fine needle, under the surface of the skin. After the injection, the Aesthetic Physician will smoothen the product into your skin by massaging the treated area. How Quickly Do Fillers Work? The results are instantaneous. The area that has been injected may be a little red and swollen, however this only lasts for a very short time (maximum of one or two days). Application of ice helps reduce the swelling. Since only temporary Dermal Fillers are used, if you experience any side effects these are mild or moderate in nature and resolve within a few days. They can include tenderness, firmness, swelling, bruising, discolouration and itching. In the unlikely event that these reactions last longer than a week or if you experience other side effects, ensure that you consult your Aesthetic Physician. Dermal Fillers usually last between six to nine months. The fillers that are used to improve cheekbone volume usually last for over 12 months. Who Should Not Have Fillers Done? Children, people with very thin skin and women who are pregnant or breast feeding should consult with their doctor prior to using any dermal fillers.